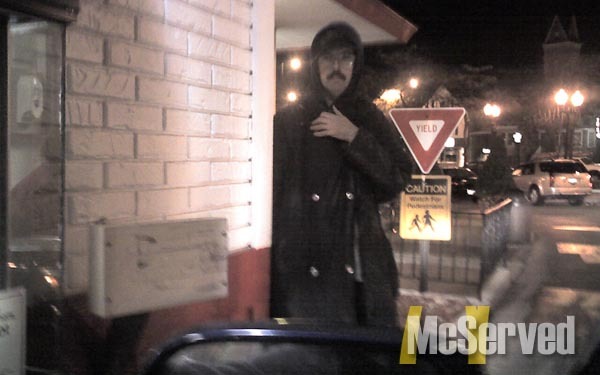 SCARY GUY IN A RAINCOAT NO LESS | McServed: Getting Served McDonalds Fast Food Funnies, Laughs and More! Scary guy at McDonald’s drive-thru. This picture made my stomach hurt with fear. i’m serious!